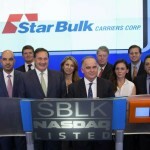 Star Bulk, a global shipping company focusing on the transportation of dry bulk cargoes, announced its unaudited financial and operating results for the first quarter ended March 31, 2016. (1) See the table at the back of this release for a reconciliation of EBITDA and Adjusted EBITDA to Net Cash Provided by / (Used in) Operating Activities, which is the most directly comparable financial measure calculated and presented in accordance with generally accepted accounting principles in the United States (“U.S. GAAP”). To derive Adjusted EBITDA we exclude non-cash gains / (losses) and non-recurring items. 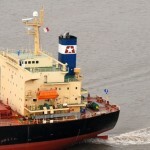 Petros Pappas, Chief Executive Officer of Star Bulk, commented: “The first quarter of 2016 was the worst of the last 30 years, as freight rates remained below operating costs and vessel values reached new lows across all dry bulk vessel classes. We continue implementing cost containment initiatives and maximizing internal efficiencies, resulting in our average daily Opex per vessel excluding pre-delivery expenses being reduced by 19% y-o-y to $3,591. 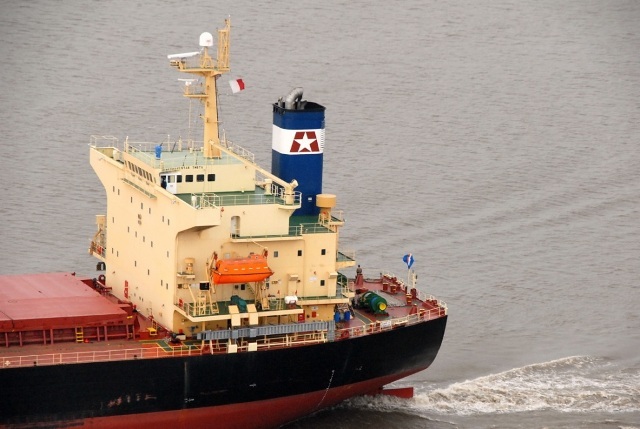 This reduction was not at the expense of the quality services provided to our customers and the maintenance of our vessels, as evidenced by the fact that 91% of vessels under our management has been assigned 5-star rating from Rightship. 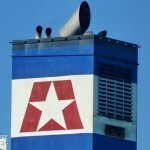 We are in negotiations with all the banks (the “Lenders”) providing our senior secured vessel financing credit facilities (the “Facilities”) to amend the principal repayment schedule of the loans incurred under, and waive or substantially relax certain financial covenants of, the Facilities. In order to facilitate our negotiations with all banks, we have recently entered into standstill agreements (“Standstill Agreements”) with all Lenders, pursuant to which (a) the Lenders have waived our obligation to comply with certain covenants of the Facilities for the quarter ended March 31, 2016 and (b) we shall not be required to make any debt principal payments under the Facilities until August 31st, 2016. On April 1, April 4 and May 30, 2016, the vessels Indomitable, Obelix and Star Michele respectively, were delivered to their buyers. On June 6, 2016, we took delivery of the Newcastlemax vessel Star Libra (ex-HN 1372), which is financed under a bareboat charter accounted for as a capital lease, from CSSC (Hong Kong) Shipping Company Limited, (“CSSC”). On June 6, 2016, we took delivery of the Capesize vessel Star Taurus (ex-HN 1339), which was sold to a third party pursuant to a preexisting agreement upon its delivery from the shipyard. As of June 20, 2016, the Company effected a 5-for-1 reverse stock split on its issued and outstanding common stock. Upon effectiveness of reverse stock split, every five shares of our issued and outstanding common shares were automatically combined into one issued and outstanding share of common shares without any change in the par value per share or the total number of authorized shares. This reduced the number of outstanding common shares from 219,788,952 shares to 43,955,659 shares. No fractional shares were issued in connection to the reverse split. Shareholders who would otherwise hold a fractional share of the Company’s common stock received a cash payment in lieu of such fractional share.